Hello Psypoke! I think this forum could use some more action, so I'm setting up this Art Contest Thread. Do something using a sprite from Red, Blue, or Yellow. It could be a splice, or a revamp, or whatever. 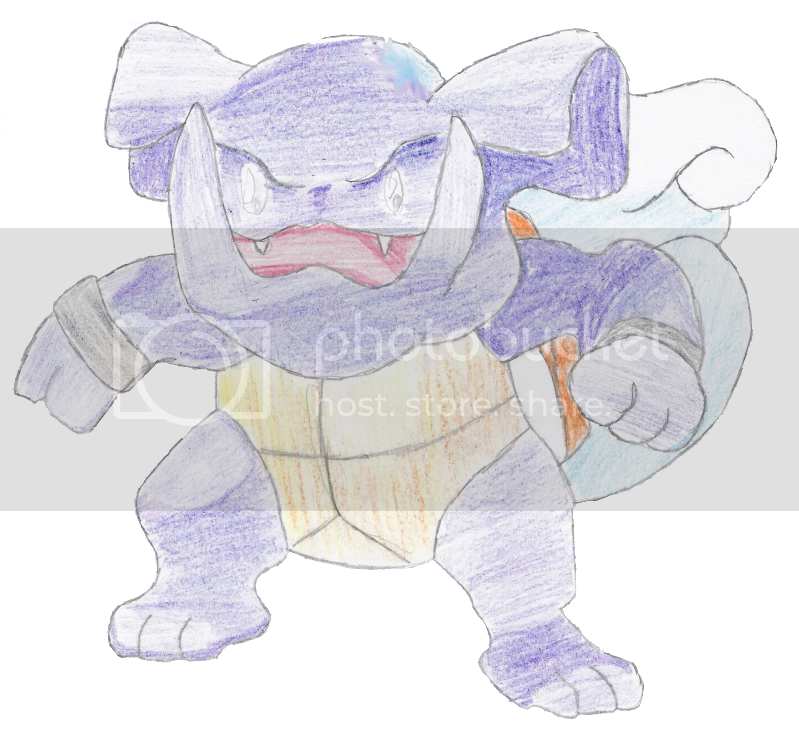 Warbull, a Wartortal Granbull splice. Last edited by Lt. Beefloaf on Sat Jul 10, 2010 2:29 am, edited 1 time in total. Location: Under your bed.... >:D RAWR!!! FC:1977-8091-8773 PM me to trade or battle! The awsome slideshow for my shop was done by Afonso at the Fusion Market!!! 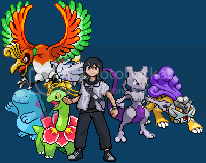 First one to do a non-blue water type FTW! Glibro! I just did it really fast. Not trying to win, just figured i'd have some fun with it. Last edited by Ryanh181 on Sun May 23, 2010 6:35 pm, edited 1 time in total. I know it isn't complete. I just realized I messed up on my sprite. Maybe next time i should look at it after I post. Location: The provisions at the Wild West. Houndapras. Its not great, I did it in like a minute. BUt, I'm pretty sure you want to finish this contest up finally, so I thought I'd move it along for you. PS. I just realized his shiny form has similar colors. lol Also, I personally like Swachamp the best for name and the sprite. Finling. It took some time, and came out great. I own Electrifying Sprites in the Sunnyshore Market Thread. PM me for orders. here it is. Persianduck. Golduck and Persian. win? i think so. Re: The Official Fan Art Contest Thread: 2nd contest is on! This is quite the joy. Fuse one Legendary Pokemon with one ordinary Pokemon. The color scheme can be that of either Pokemon. Can I recolour the fusion? Cause the Pokemon I chose have the same base colour. Last edited by Lt. Beefloaf on Thu Jul 08, 2010 12:03 pm, edited 1 time in total. lol no problem man. glad i could help. fusion of dppt's Mewtwo sprite and Machamp sprite!!! EDIT4: just put it in using img button. Last edited by rex09 on Mon Jul 05, 2010 1:15 pm, edited 4 times in total. if entries are put in superfast for the other contests i probably wont get to participate. i'll be on vacation. my mother will have her laptop of course, but i doubt she'll let me use it to make pokemon. she finds my obsession with pokemon very childish XD and her laptop doesn't have gimp so i won't be able to make touch ups and make them transparent D: i wish i had a laptop of my own. This was just a quick little thing. Deoxys-Z.